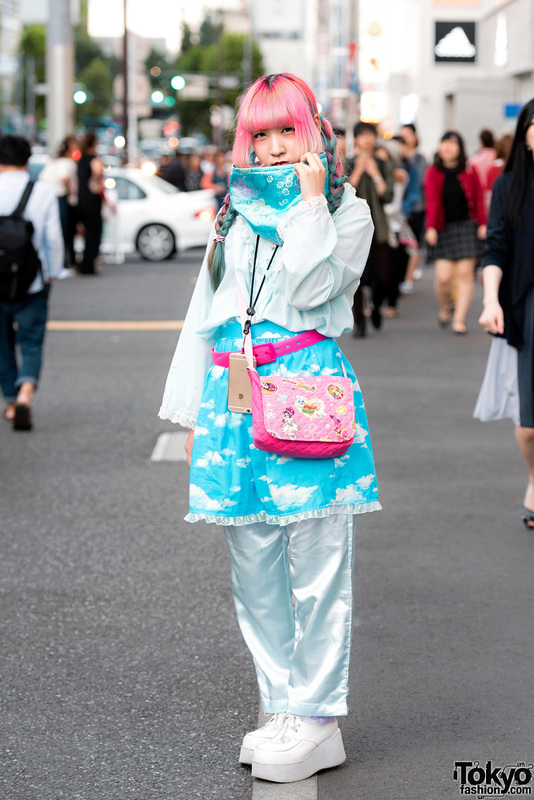 While walking along the Harajuku street, we met Ranochan, a 19-year-old fashion student who caught our eye with her pink-blue hair and handmade style. 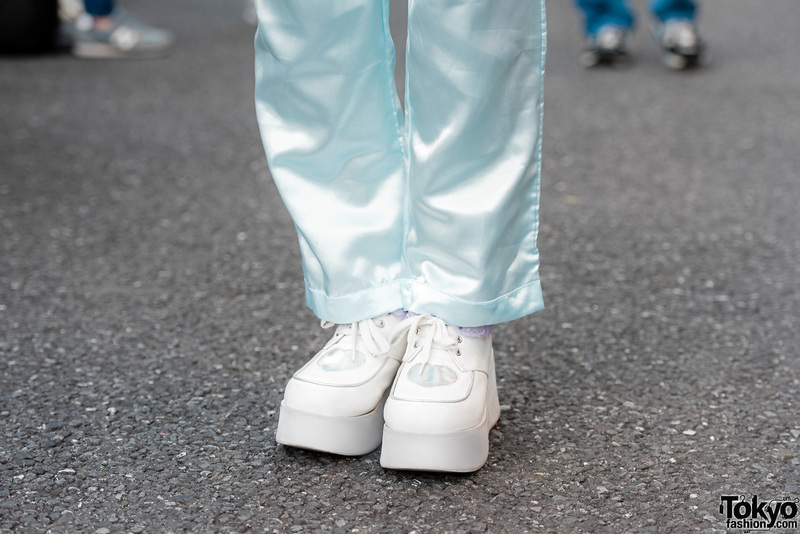 Ranochan’s look features handmade and vintage items including a mint long sleeve lace shirt, handmade cloud print skirt over satin pants, lace ruffle socks, and white platform shoes that she bought at a local shop. 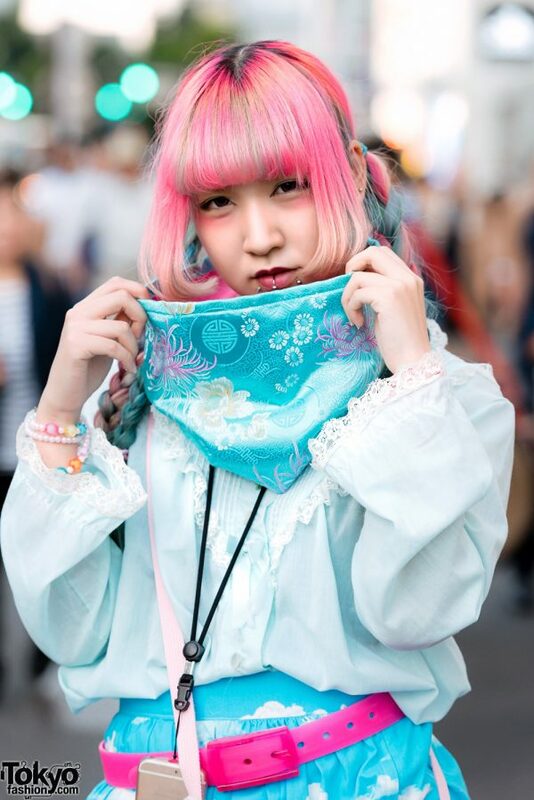 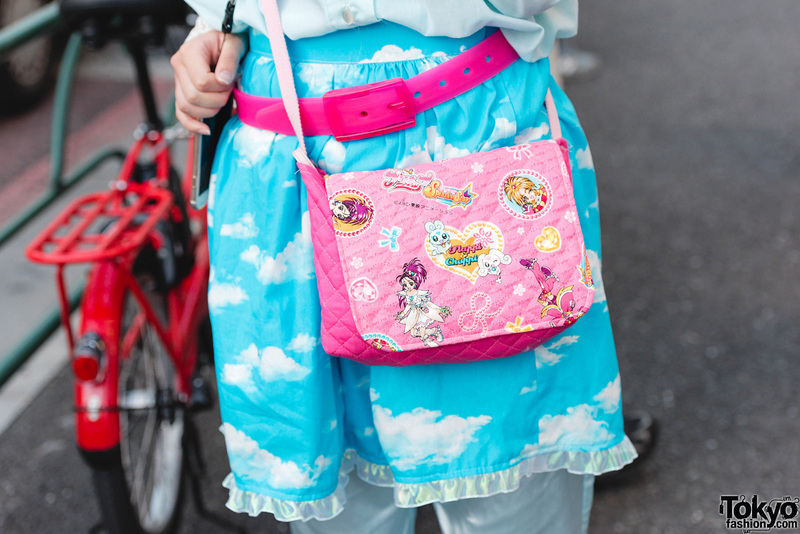 Her accessories – some handmade while some from 100 Yen Shop – include a floral print metallic blue collar, a neon pink belt, beaded bracelets, piercings, and a pink handmade Flappy and Choppy quilted sling bag. 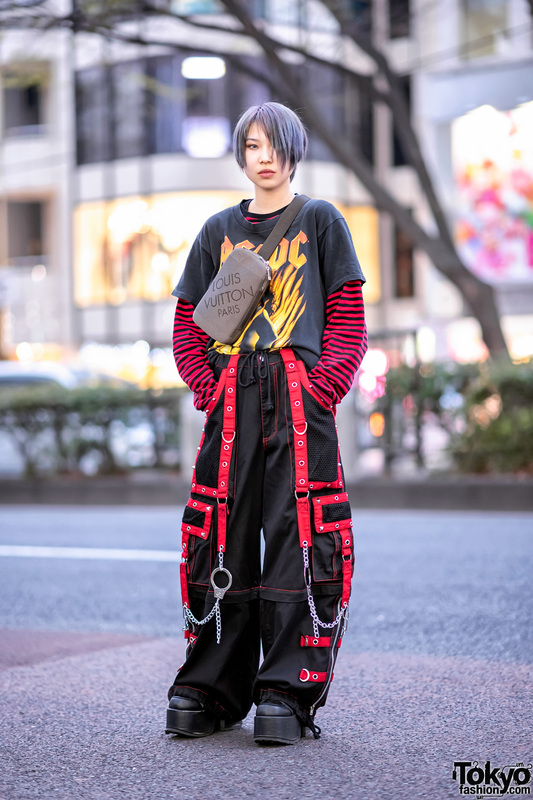 Ranochan tols us she loves the music of Band Ja Naimon! Follow her on Instagram.